So, here we are, one year on from Pokemon GO‘s initial launch and still, not even one single legendary Pokemon has been spotted out in the wild. Well not officially, anyway. But that could all be about to change sooner than you think if a recent ad is anything go by. As per ComicBook.com, an advert spotted on the Indian version of Apple’s App Store earlier today appears to have outed the arrival of the mythical one-of-a-kind ‘Mons ahead of an official reveal from Niantic. The image in question, which you can see for yourselves below, features the monstrous Gen 2 beast Tyranitar alongside an unhatched egg. 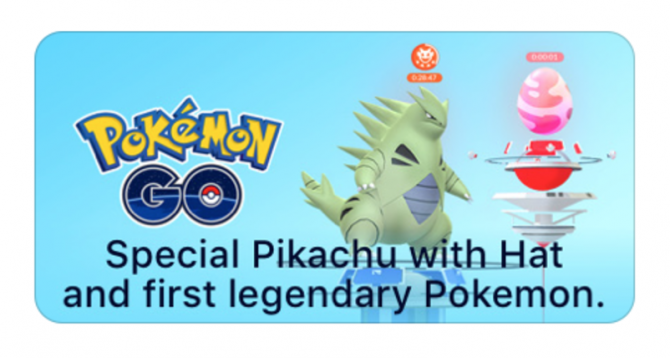 Given that the timer perched right above the egg’s head directly references Raid Battles and that the image is accompanied with the text “Special Pikachu with Hat and first legendary Pokemon,” one can only assume that the image was put together in order to advertise the augmented reality title’s currently ongoing Anniversary Event. After all, one of the main talking points of the limited-time affair is that any Pikachu, Pichu or Raichu caught during the duration of the event comes wearing Ash Ketchum’s hat from the anime series. All that’s missing is the legendary Pokemon, then, but when can we expect to see them arrive? 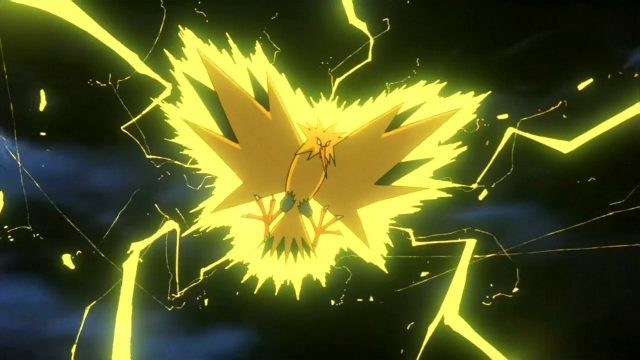 Well, while by no means official, files uncovered in the game (via VG247) following the arrival of Raids revealed that an unreleased tier of the end-game battles will feature Dark Eggs which, when hatched, will spawn one of nine legendary creatures, including Mewtwo, Zapdos, Moltres and Articuno. How accurate these leaks are, remains to be seen, but it certainly seems all but confirmed at this point that legendary monsters will debut soon in Pokemon GO. Whatever the case, we’ll be keeping a watchful eye on Niantic in the weeks ahead for any additional announcements, so stay tuned!